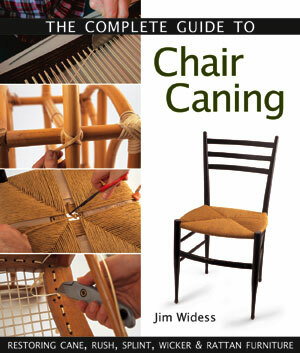 The Complete Guide to Chair Caning - Jim Widess, co-author of the best-selling Caner's Handbook, and one of the field's top authoritities, presents crafters with five amazingly detailed seat weaving projects you'll treasure for years to come. 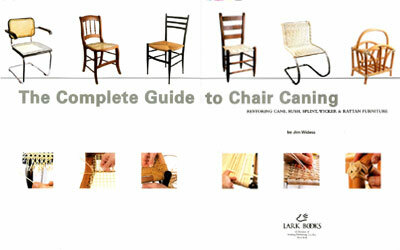 Best of all, with the help of a thorough basics chapter, reader-friendly instructions, and a plethora of illuminating color photographs, even beginners can complete every beautiful item. 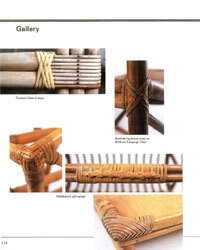 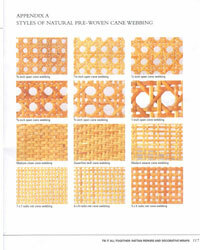 Complete step-by-step photographs for machine caning, hand caning, rush weaving, splint weaving, wicker and rattan wraps. 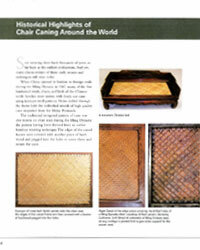 Includes the history of caning and the harvesting and processing of rattan. 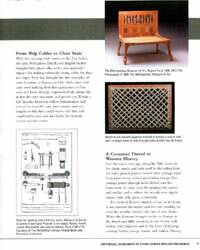 Trace the weaving of seats through holes drilled in the frame from ancient Egypt to China to Europe and the Americas. 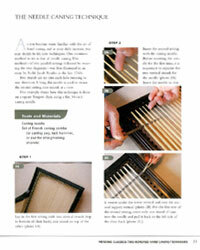 Find out how to use machine-made caning to restore an old chair. 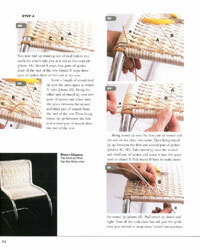 Clear, detailed, close-up step-by-step photographic instruction from cleaning out the old cane through installing the new webbing. 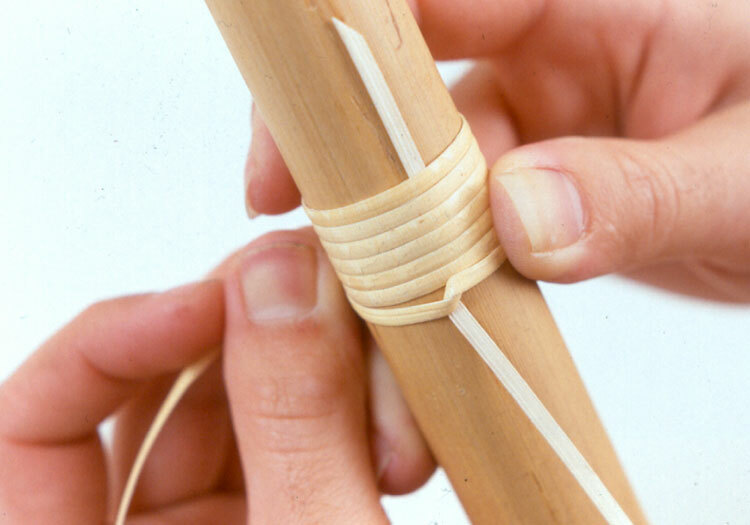 Create an entirely new cane seat by hand using techniques never before illustrated. 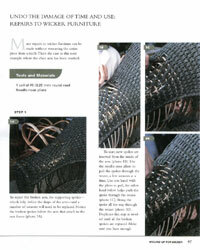 Learn about the processing of rattan in Indonesia as well as French needle caning. 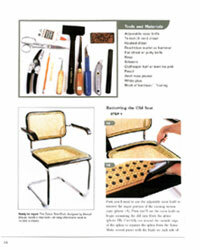 Fashion a durable and comfortable rush seat using fiber that's twisted into long strands with clear photographed instructions. 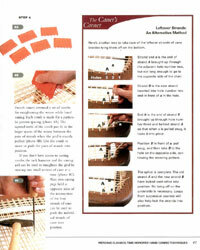 Learn how to incorporate color patterns using paper rush to mimic the French colored straw-wrapped rush. 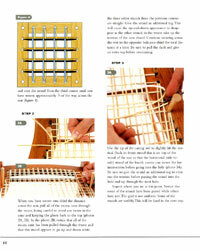 Detailed weaving of wicker from start to finish. 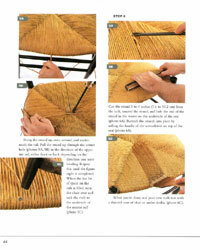 Step-by-step instructions for recreating complicated rattan wraps on furniture joins, teapot handles and baskets and for providing valuable information on the different types of available cane and various woven patterns. 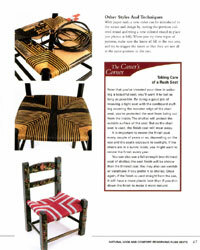 Errata: Please print out this photograph to replace photograph #2A on page 104 in the first and second editions of The Complete Guide to Chair Caning. 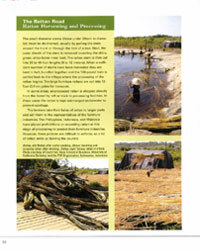 I'm very sorry for any inconvenience or confusion this error might have caused." 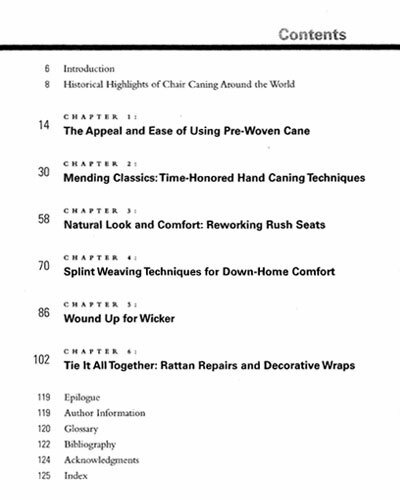 The Complete Guide to Chair Caning 124 pages include 435 color photographs, numerous patent drawings, 10 figures, 6 historical black and white photographs. 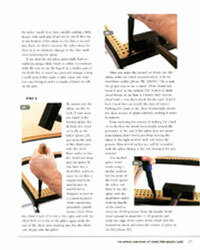 We will send you a FREE Wire Caning Tool with your purchase.